I think Sanders has chosen wisely in making himself the champion of the anti-Trade Pact sentiment in the Democratic Party, and beyond that in the country more broadly. This is a fine battlefield for him to fight his fight, which is our fight as well: for the TPP appears to be one more place where the Big Money Power is working its will at the expense of the people. This “trade” agreement seems to be less about bringing down trade barriers than about shifting power away from governments and onto the corporate system. From various reliable witnesses, it seems that TPP would allow corporations to by-pass the court system and to have a system largely of its own creation adjudicate matters that rightly should be decided by the judicial component of our American democracy. The TPP would give corporations new ways of fighting against efforts by governments to protect the greater good against the “unfettered” global corporate system. Corporations, it seems, would be able to enforce, as their “right,” being compensated for whatever they might lose by being regulated in the public interest. The TPP appears to be one more way Big Money is attempting to control government rather than be limited by government’s efforts to take into account the needs and rights of the American people. One more step in the ongoing hostile corporate takeover of our nation and its destiny. Those of us who have heard Senator Sanders over the years know that he is quite capable of expressing this dangerous reality in terms that people can understand. He knows how to make concrete just how wrong is this world of inequality that the corporations are working to create. American ideals don’t comport with a trade agreement that, from what can be discovered, robs the people economically (loss of good jobs to poorer, less protected workers overseas) as well as politically (stripping the people’s government of some crucial aspects of jurisdiction). Yet unlike Bernie Sanders, more than sixty of our U.S. Senators have now gone along with greasing the skids to getting this trade agreement enacted. Are we to believe what the treaty’s supporters say in advocating for this treaty? The excellent Paul Krugman hasn’t heard a case that satisfies him. 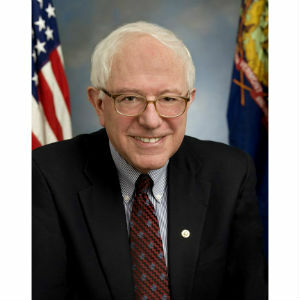 Indeed, he has commented, at the conclusion of a review of arguments that have been presented by the Obama administration in support of the TPP: the fact that the administration evidently doesn’t feel that it can make an honest case for the Trans-Pacific Partnership suggests that this isn’t a deal we should support. So it is a welcome thing to have Senator Sanders pressing the battle on this issue. It is an apt fight to wage as part of that larger battle in America today against a destructive force– a force that is the focus of my forthcoming book, WHAT WE’RE UP AGAINST: The Destructive Force at Work in Our World– and How We Can Defeat It. It is a force that contains the Big Money Power, but is vaster and deeper than that. Andy Schmookler was the Democratic nominee for Congress in the Virginia’s 6th District in 2012. He lives in Shenandoah County with his wife, April Moore, who is challenging Mark Obenshain for the state senate seat in the 26th District.